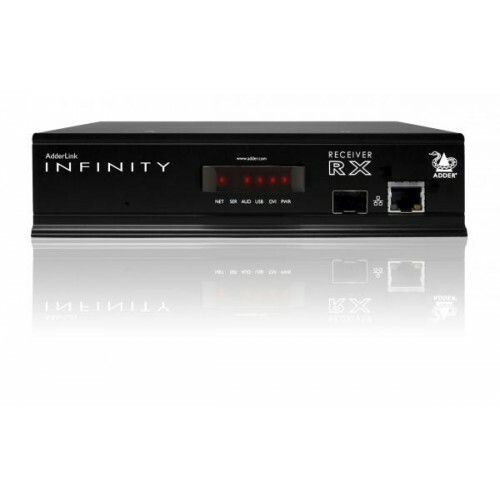 From the outset we designed AdderLink Infinity units around a highly robust signalling method. This vital core asset is what gives you the freedom to use the full variety of cable links that you typically find within an average structured cabling system. The result is that you can achieve reliable links, regardless of whether the cables are CAT5e, CAT6 or CAT7. 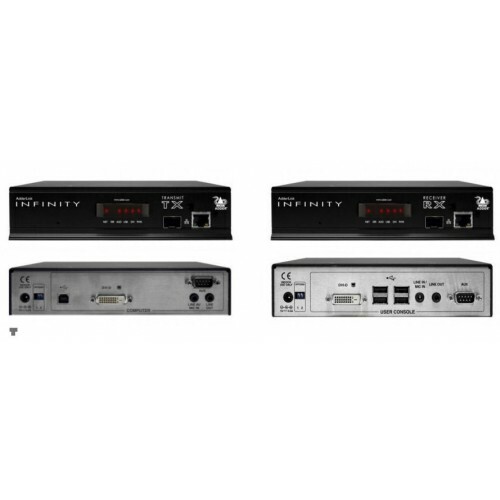 The AdderLink Infinity also offers the option of up to 10km distances with fibre. 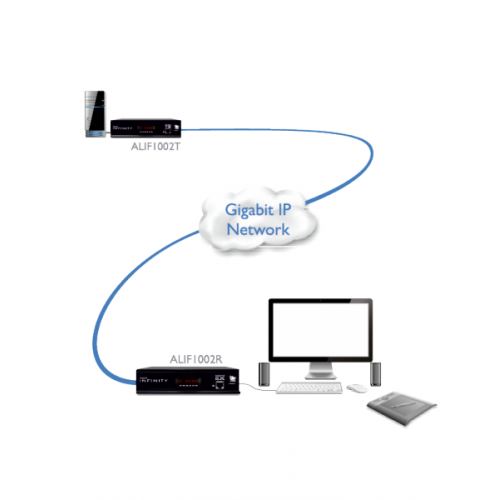 Extension distance is not limited to a single 100 meter cable length - If you need to extend further, simply add a 1GbE network device to achieve an additional 100 meters. This can be repeated many times. The units are also fitted with SFP cages to accept fibre optic transceivers which enable much greater extension distances. Some graphics cards use a technique called dithering to give the appearance of a deeper colour depth than is actually the case. As a result, dithering can significantly increase the normal video data rates. ALIF1002T has a feature called Magic Eye which supports dithering without allowing it to degrade overall link performance. 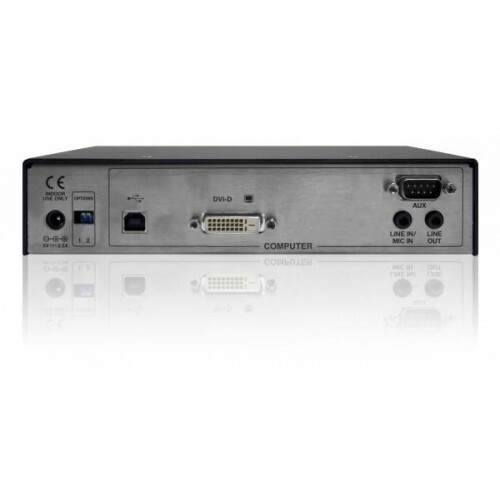 DVI to VGA converter. 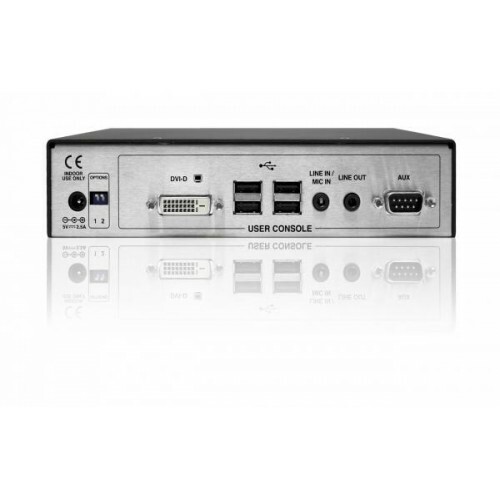 You can now support VGA with the Adder DVA/ALIF converter package.